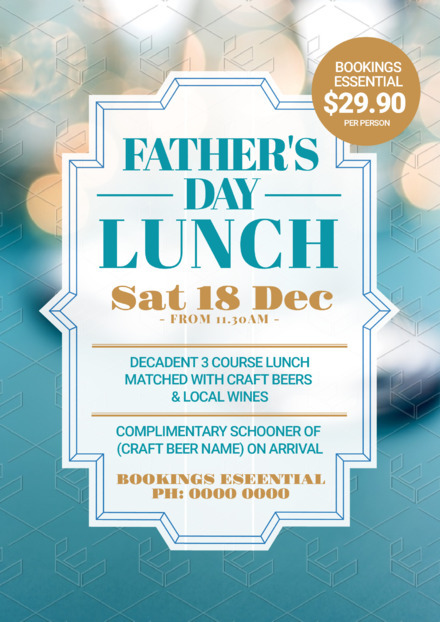 Being a Father isn't easy and they too deserve a good time. 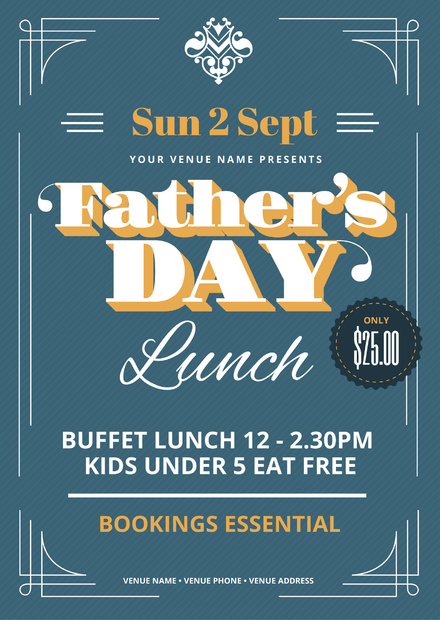 So get the message out with unique Father's day posters. 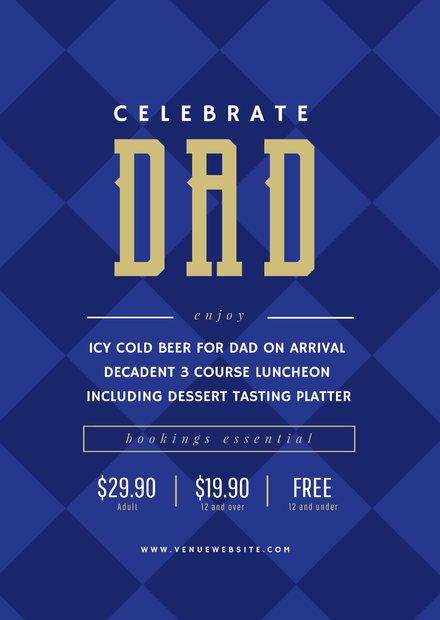 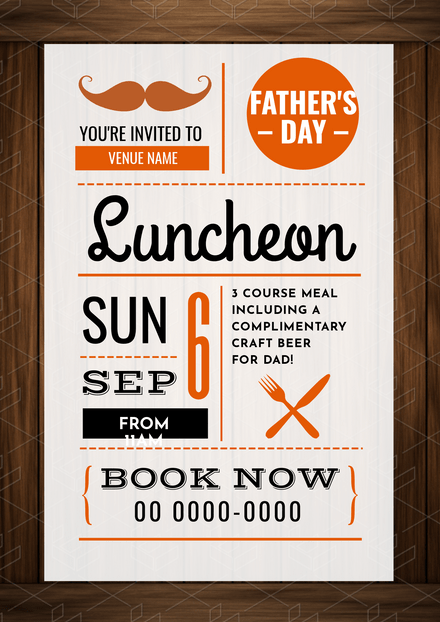 Pick from Easil's range of striking yet editable Father's day poster templates. 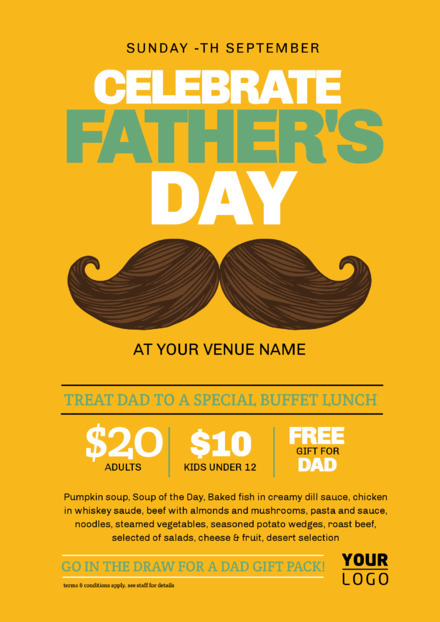 Customize them in a few clicks via Easil's extensive library of fonts and images that reflect Father's day and your brand.